Inspired by an actual incident that took place in Hawaii, my co-2 on 1 Friday blogger Shackman has come up with this very interesting topic for today. I have had quite some time to think about an answer for this question and I have one. And I am very serious. I will sit down in my usual meditation pose in the same place that I meditate everyday and await the strike. Why? Please see this clip to understand how one man lived one day at a time treating each as a blessing. 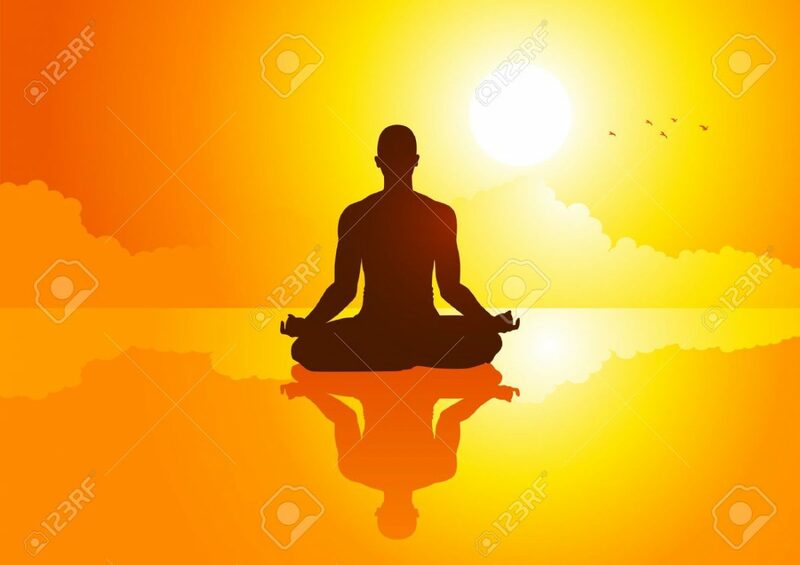 I urge you to read this article as well and you will understand that for me, each minute will be a blessing and I would like to spend those 38 minutes in doing what I like doing best. Please do go over to Shackman’s blog to read what he has to say about the same topic. This entry was posted in Blogging, Meditation, Spiritualism and tagged Hawaii, The Atlantic. Bookmark the permalink. 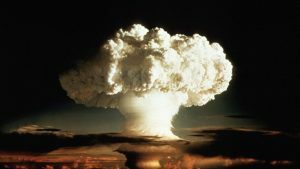 15 Responses to What would you do given 38 minutes to live before Nuclear disaster were to strike? Indeed that man’s duty is to talk about what he experienced. And your response is essentially the same as mine. That darn synchronicity again. Our horoscopes must show the same configuration of constellations! the captain was in Hawaii when the alarm went off telling of the presumed attack. so I did know of it. and I remember thinking as I read about it what I would do if it should be true and actually happen here. I’ve never been one to stockpile supplies and food and such. and really… if it ever comes to that… who would want to live in such a world afterward anyway? so I hope I would have enough presence of mind to accept it and que sera sera. I would only hope I could see my beloved brother one last time. 38 minutes will not be enough for stockpiling anyway! The wish to see loved ones is likely to be the most popular response to this question if it were to be published in wider forums. I’m heading to Hawaii this weekend. Have a grand time Dora. I’d call both my sons to remind them how much I love them, and then cuddle up with my husband and think about how much good I’ve had in my life. A little late to do anything preventative. Contacting family if possible might be undertaken. Going on with my ordinary activities might be in order. Or, I might choose to relax ala meditation-like listening to some of my favorite orchestral instrumental music CDs. Yes, one cannot really take any preventative measures in 38 measures and I think that your choice is excellent considering the inevitability of the end. Me being me, I have to answer it different ways. First, I live about 35 minutes from a nuclear plant. If it was that kind of disaster, I’m about 5 miles in the safe range if I’m at home. If I’m not, I’d immediately drive to the city which is 10 minutes from where I live and, based on habit, less than 20 minutes from my normal range of places I go. Second, if it were a nuclear strike heading towards our city and area, I’d still hop into the car and try to beat the worst of it. I know that fallout would be difficult to keep away from, but I wouldn’t go down without a fight. Third, if I had no way to get anywhere and I knew I was going to die… I’d put on some Bugs Bunny cartoons and hope I could laugh and be as happy and at peace as possible before the inevitable. I admire you for the spirit. I would choose Tom and Jerry! I was very interested to read of the man who survived Hiroshima and Nagasaki, too. What a story! I can well imagine you doing that!